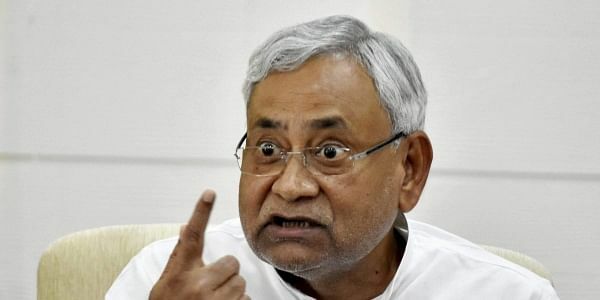 PATNA: Bihar Chief Minister Nitish Kumar today defended his government's decision to introduce reservation in outsourced services and said those criticising it have "very little understanding" of the issue. "If we (the government) award a contract to somebody for undertaking a work, then the contractor will not be bound by quota policy since he will be hiring and he will be paying," he said. "But, in case of outsourced services availed of by the government, the rules will be obviously different." "People who are raising a hue and cry over the issue have very little understanding," he said. He, however, said "we, in principle" favour reservation in private sector too. "But, for that parliament has to take initiative in accordance with provisions of the Constitution." He also said he did not believe in "too much outsourcing" as "often outsourced employees form their own associations to press the demand for regularisation". "But when it is not possible, outsourcing must not become an excuse to deprive employees of reservation benefits," he added. Former Speaker of state assembly and senior JD(U) leader Uday Narayan Choudhary has spoken against the decision. Choudhary, who has launched a non-political forum, Vanchit Varg Morcha, is organising a discussion on reservation on November 10 here during which former Union minister Yashwant Sinha will be a key speaker. Sinha has been critical of present NDA government's economic policy. BJP Rajya Sabha member CP Thakur had last week questioned the decision, saying it may lead to public resentment and a drop in investment in the state. Kumar today said, "I would like to remind everybody that this is not the first experiment of its kind that we have undertaken in Bihar." In 2006, the state government recruited a large number of ex-army personnel (in Special Auxiliary Police force) to make up for the shortfall of policemen in the state and reservation was in place in their case also, he said. Reservation benefits to outsourced employees will be on the same lines as to the regular ones wherein quotas have been earmarked for SCs, STs, OBCs, women etc, he said. "Then there is also horizontal reservation - for Divyangs (physically handicapped) or children of ex-servicemen."